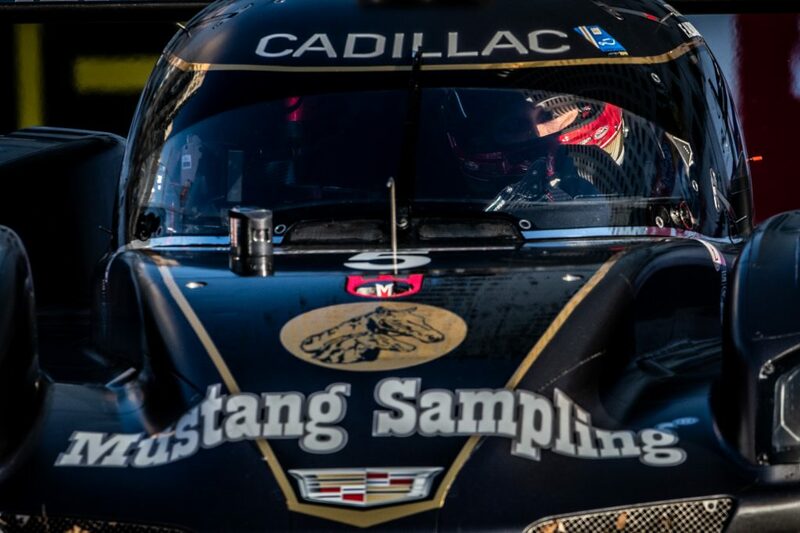 SEBRING, FL (16 March 2019) – Mustang Sampling Racing came away with its fifth podium in the Mobil 1 Twelve Hours of Sebring with a third-place finish in Saturday’s 67th running of the Central Florida classic. Filipe Albuquerque, Joao Barbosa and Brendon Hartley combined to lead 69 of the 348 laps in the No. 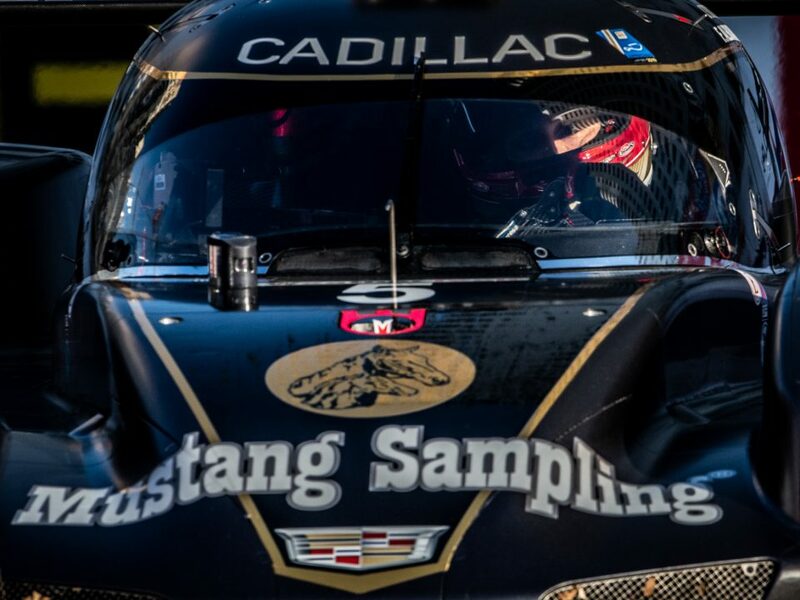 5 Mustang Sampling Corvette DPi-V.R, coming up just 4.023 seconds short of a return to Sebring victory lane after 12 hours of hard racing. 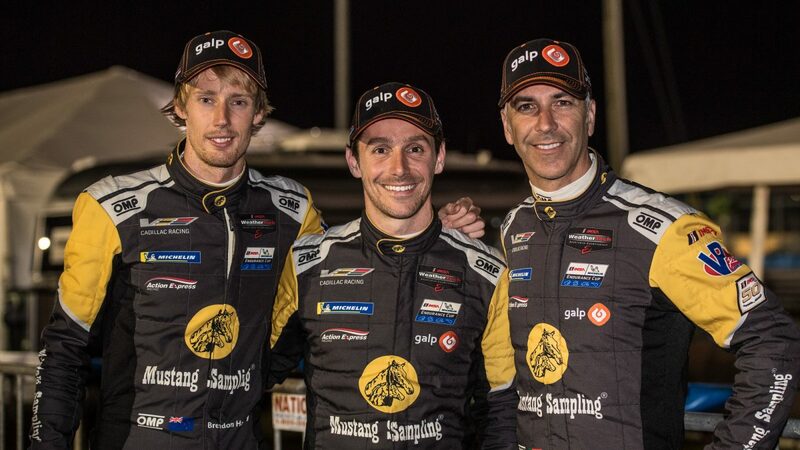 The trio ran in contention through the event, running in the top five for the entire 12 hours. The race began under the caution for 21 minutes. Once the green flag waved, the No. 5 Mustang Sampling Racing Cadillac needed only two laps for Albuquerque to make a pair of decisive passes on his way to leading the race. Once the field began switching to slick tires at the two-hour mark, Albuquerque waiting for a few laps before coming in to change tires. 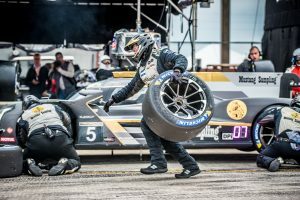 The race ran at a flat-out pace through the middle stages of the event as the track conditions stabilized and Albuquerque, Barbosa, and Hartley rotated behind the wheel of the Cadillac Prototype. A late race caution set up a final restart with 10 minutes to go, with Mustang Sampling Racing coming home in third. 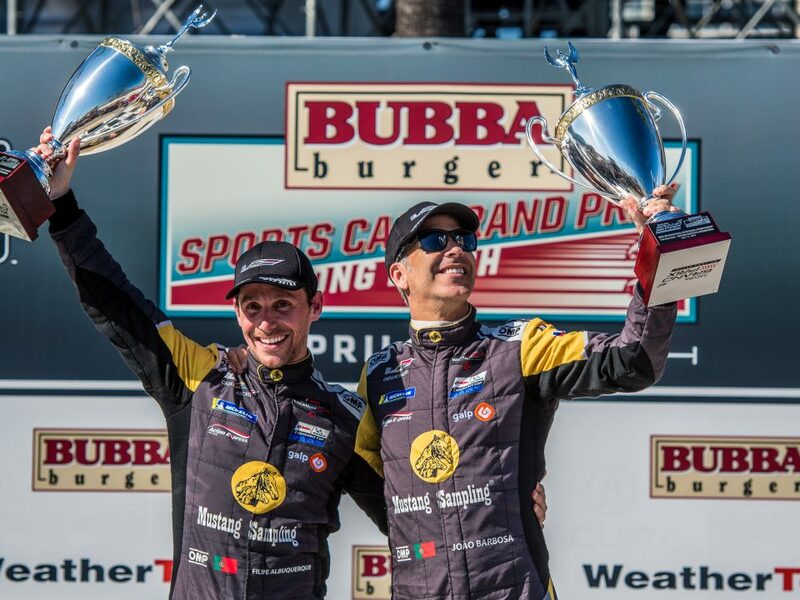 Barbosa was part of Mustang Sampling Racing’s winning Sebring lineup in 2015, was happy to see the team return to the podium after electrical problems led to a frustrating opening to the season in the Rolex 24 At Daytona. 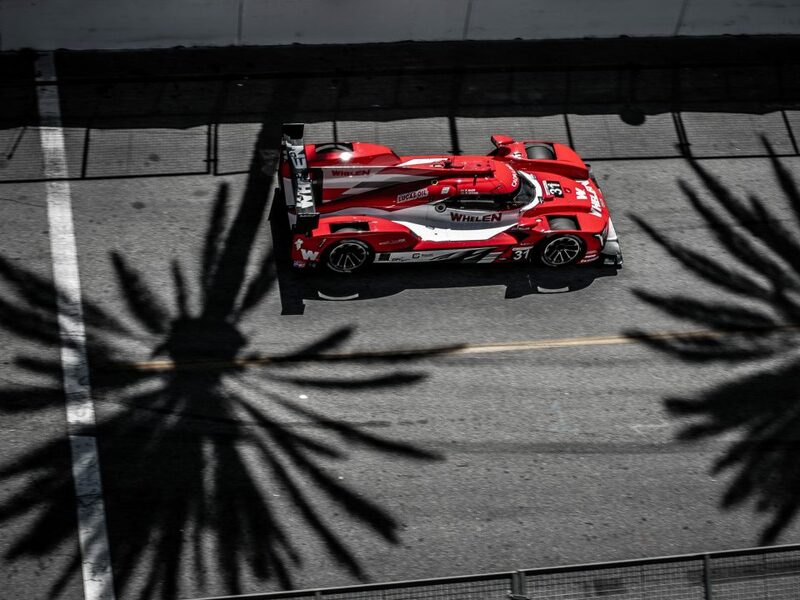 Hartley, a Formula One veteran joining the team for the first time, turned the team’s fastest lap, 1:48.029-seconds, the fastest race lap of the event at the time. 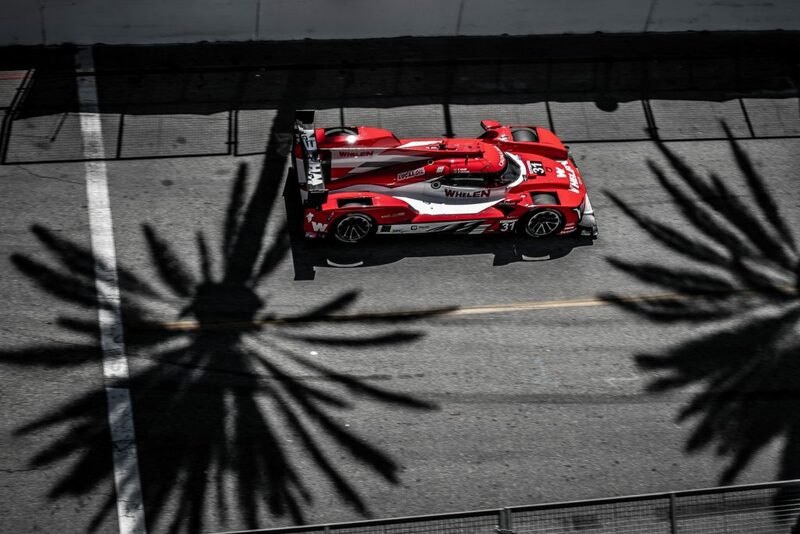 After the “Florida Classics” of 36 grueling hours of racing at Daytona and Sebring, IMSA next heads to the West Coast for the shortest race on the schedule – the one-hour, 40-minute sprint on the 1.968-mile street circuit at Long Beach, California, on Saturday, April 13.